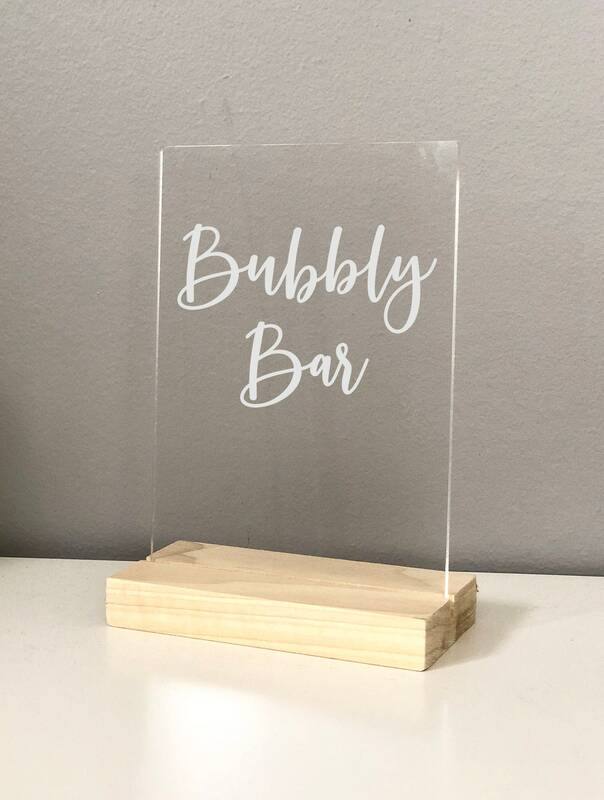 Our signs are laser cut from 1/8" high quality clear acrylic and engraved with white text. You can choose to add a wood base for your sign. Use them over and over again!